For decades, there was concern about "brain drain"- the flight of young adults from the Rochester region and other parts of Upstate New York. Now, that trend is reversing. 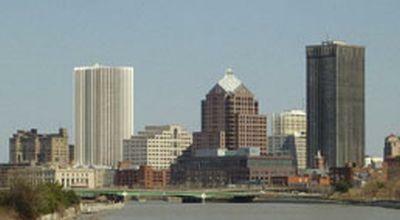 Between 2010 and 2015, Rochester's millennial population grew by 8.8 percent, according to U.S. Census data. That rate is higher than other Upstate cities and the country as a whole. "I am surprised by how quickly the situation has shifted," said Heidi Zimmer-Meyer, president of the Rochester Downtown Development Corporation. In the same five-year span, the population of 20-34 year olds increased by 8.3 percent in Buffalo, 6.3 percent in Albany, and 4.4 percent in Syracuse. Nationally, that demographic increased 6.1 percent during that period. Zimmer-Meyer says it’s part of a worldwide trend drawing more people to urban areas. "And if you talk about the big cities, it's more expensive and more difficult to live,” she said. “It's very exciting, and there are a tremendous number of jobs in many of our large urban areas, but when you really start settling into the kind of life you want to have, it's become very, very difficult in a lot of places. That presents a huge opportunity for communities like ours, and clearly, we're already taking advantage of that." In addition to a shorter commute time and a more affordable cost of living, Zimmer-Meyer said mid-sized cities like Rochester have an added appeal; young people sense they can have a bigger impact on their community. She points to evidence of that locally with groups like Roc City Coalition. "People are engaging, they're coming together jointly, and they’re creating things jointly. It's become a collaborative. The voices have become stronger for young people and young professionals in this community." Another factor contributing to growth in Rochester's millennial population, Zimmer-Meyer said, is the explosive growth of downtown. Without a thriving downtown, she says, no mid-sized community will be able to retain young professionals.